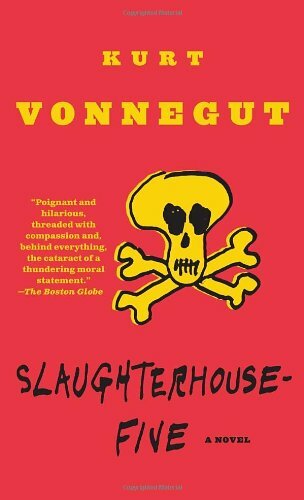 The book that I chose to read is Kurt Vonnegut’s Slaughterhouse-Five. This great antiwar science fiction book was published in 1969, over twenty years after the author was liberated from his POW camp. In choosing this book, I expected to read many detailed memories and accounts from the author’s experiences in the Dresden firebombing. This book, however, talks about the event in a sort of humorous manner and never seems to mention the significance of the bombings. 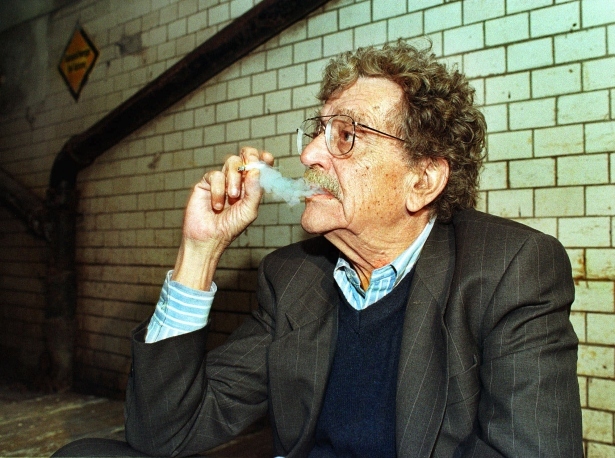 Kurt Vonnegut was born in Indianapolis, Indiana in 1922 to a prosperous family. Once the Great Depression hit, however, his family’s fortunes were lost and Vonnegut’s life went into despair. Kurt dropped out of sev eral colleges, but he studied chemistry and worked for school and local newspapers during his college career. At the age of 20, Kurt’s mother committed suicide and he was sent off to fight in World War II. Soon after his arrival to Europe, Kurt fought in the Battle of the Bulge and was taken prisoner by Nazi soldiers. Near the end of his time as a POW, Kurt was moved to Dresden, Germany, where he stayed in an underground slaughterhouse. 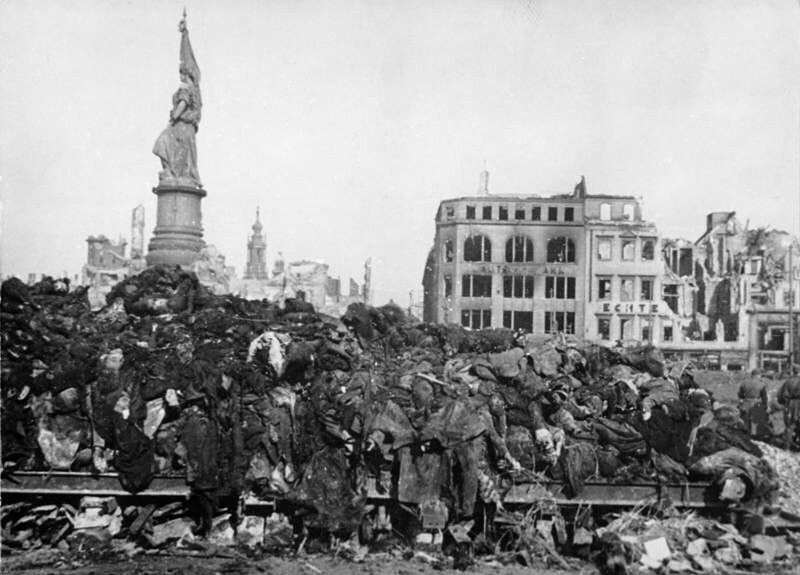 Here, Kurt survived the firebombing in Dresden of 1945, which he used this horrific experience to write his novel Slaughterhouse-Five. The novel is a bit tricky to summarize, as the narration switches between first and third person views and the story is told through an uncontrolled travel in time. He begins the book with describing his previous efforts of creating a book from his memories of the firebombing and how difficult it was make an organized story. He brings in a fictional character, Billy Pilgrim, and describes him as a weakling from New York. We hear his story through his eyes, immediately sensing the man to be delusional as he begins jumping around to random moments of his life. Things really got weird when Billy visits the future (1976) though, when China drops a hydrogen bomb on Chicago and he is murdered by a laser gun. Billy also claims to have been abducted by aliens and taken to their planet of Tralfamadore, where they display him in a zoo and teach him their “true” understanding of time. The Tralfamadorians claim that all moments in time are predetermined and that free will is nonexistent. They explain that time is not a linear progression, but rather a collection of moments that are continually being revisited with no order. Billy tries to tell everyone about what he now knows about time as the fourth dimension and we learn that he was a POW along with Kurt Vonnegut in Dresden during the firebombing. After this atrocious event, Kurt and Billy were forced to excavated the dead civilians from the ruins and burn their bodies, a horror that went on to haunt their lives forever. 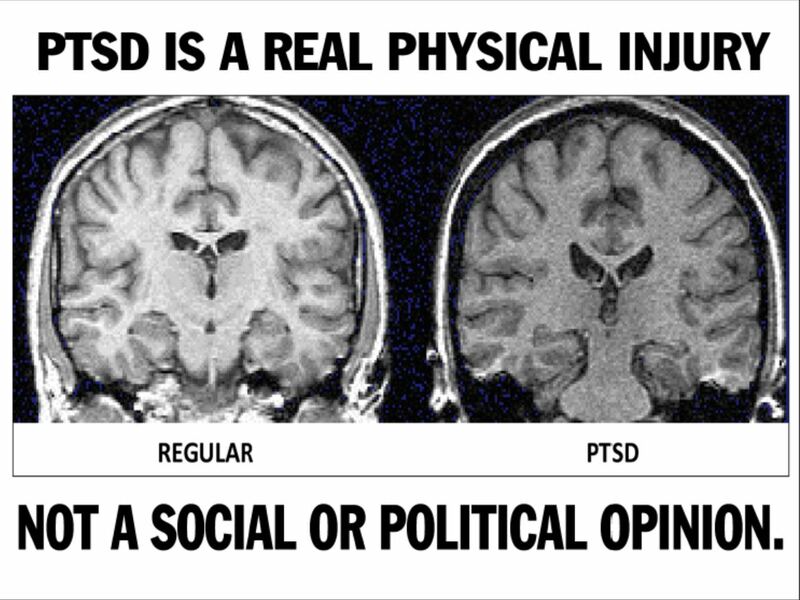 development in the field of psychiatry. The author facilitates the concept of time into the story as a mechanism in coping with the grief of war and death. He uses the Tralfamadorians explanation of time in order accept all of the death that surrounds him, as they claim all moments are predetermined. This grim outlook on life is pretty heavy and asserts that no free will actually exists. It is possible that Vonnegut himself actually believed in some of this, as he believed that a God would never allow massacre such as this to occur. He was not a religious man and he used his morbid trademark phrase, “So it goes.” after every death mentioned in the novel. 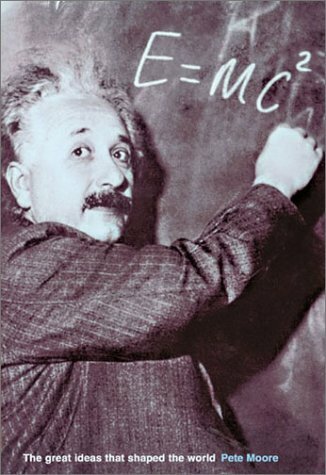 Although Einstein never suggested the possibility of time travel through his famous mass-energy equivalence theory, Vonnegut’s novel shows how this complex theory’s popularity at the time led to the expansion of the public’s imagination. Vonnegut uses his novel to cast a bad light on science of the time. His story eludes to the fact that scientists were no longer working to improve humankind and the quality of life, but were more infatuated in doing the exact opposite. He explains that scientists are interested in killing more and more, eventually developing technologies to obliterate entire cities at a time. The account of the delusions that soldiers were susceptible to due to the new scale of destruction in warfare clearly showed the author’s attempt to dissuade warfare and massacre through his novel. In his latter years, Vonnegut was a spokesman against nuclear engineering and the use of weapons of mass destruction. 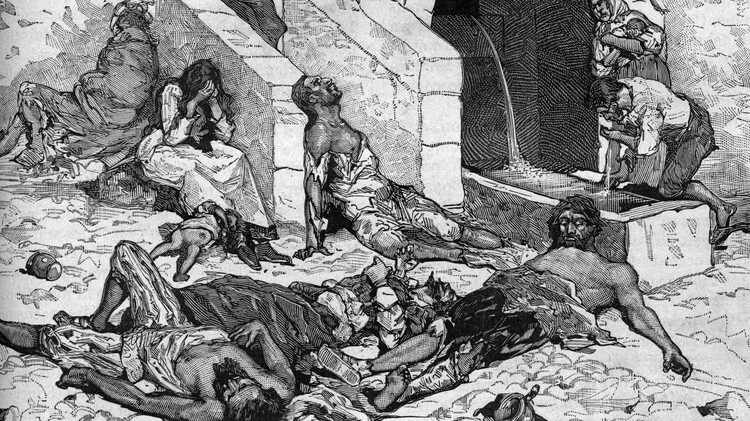 This is an interesting article that I found on Whewell’s Ghost about the plague of Cyprian. This article is relevant to this class because it exemplifies how science is able to reveal major impacts on human culture and history. It explains how science is not only changing our understanding of our past, but also why we are the way we are to day. This discusses the severity of the plague, mentioning that approximately 5,000 people died per day in Rome alone during the plague’s peak. Death was so widespread that many believed it to be the apocalypse. Because of this, many quickly converted to Christianity, as they’d rather die for Christianity than for nothing at all. 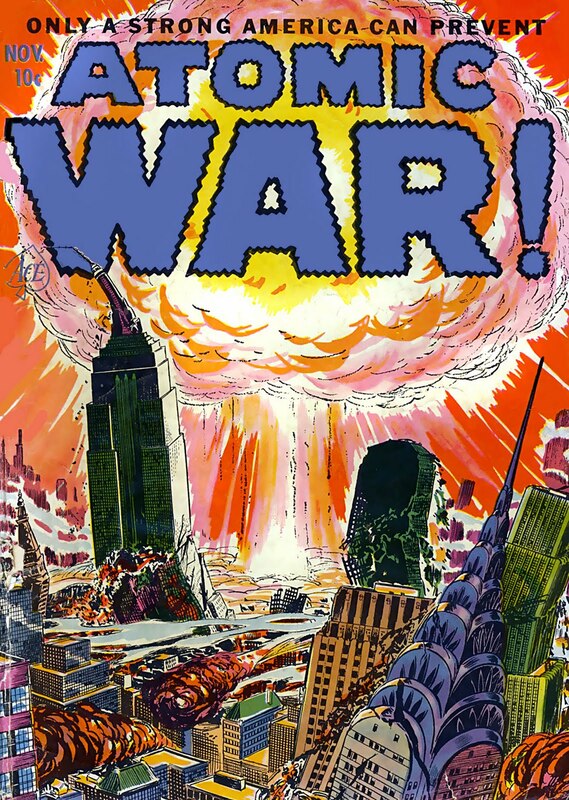 In this comic from Atomic Comics +, the American military is in an all out war with the Russians, or “Ruskkys” as they’re called in this comic. 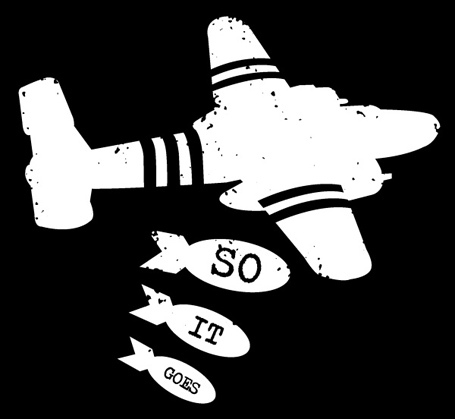 A-bombs and H-bombs are dropped left and right around Russia by planes, leveling many of its cities. Other than the desolation of the Commies, the comic really started getting weird when the Americans began using “atomic ammo” and atomic hand grenades on the enemy. This comic made it clear that the American public at the time were oblivious to the applications of nuclear energy. They also seem to not be aware of any of the dangers or consequences, as radiation was never mentioned and the soldiers carried their own atomic grenades. It is important to note that nuclear weapons in this comic are used to show that America was much more powerful than Russia, even though Russia had nuclear weapons in 1949 and this comic was published at the end of 1952). This shows that the American public thought that nuclear energy was promising and most likely believed they were the only ones with nuclear weapons. Julian Huxley’s Evolutionary Humanism is a religion that he believed would save the world from war and destruction through unified ideology. This link is related to this class and the recent reading on Carl Linnaeus as it discusses how science influences the religious views of scientists in specific time periods. 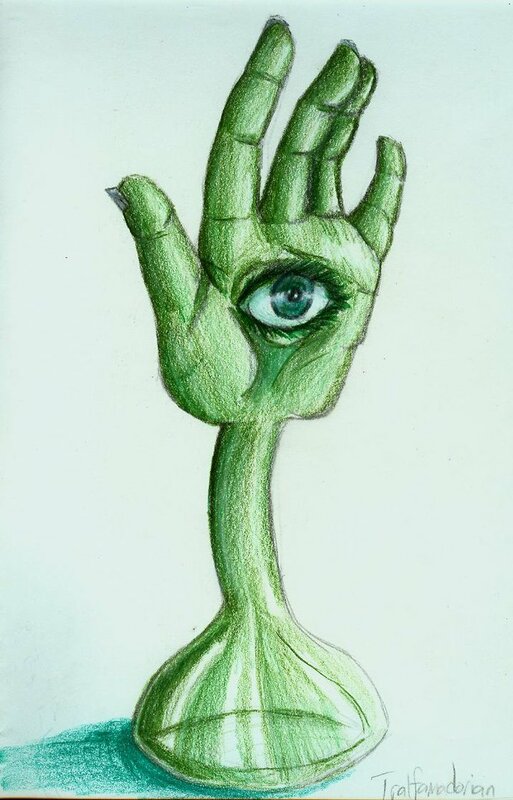 Huxley believes that evolution occurs at cosmic, biological, and psychosocial levels, and that they are continually progressing towards a more complex state. He believes that psychosocial evolution was what is primarily occurring today, and that educating people about these concepts of evolution would allow them to control and direct their own evolution of their minds towards undreamed of progress.